Apple is gearing up for the release of iPad 3 early next year. Reports, however claims that the version will not hitting the stalls until April 2012. Excluding the screen size that would stay in 9.7 inches, this new model promises more from the box. Third generation iPad will feature screen that is of double resolution compared to its predecessors, 2048x1536 to the original 1024x768. Additional features like Retina Display, SD Card Slot, USB, DLNA, Camera Flash, HDMI and iOS 5 will highlight the gadgets feature. For the breakdown of its possible feature, click here. 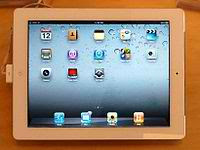 Presently, Apple has planned to draw 1.5 Million iPad 3s and will be hitting the Philippines sooner than expected.